Financial Regulation Matters: Tyrie’s Possible Audit Standards Board: Required Supervision? Tyrie’s Possible Audit Standards Board: Required Supervision? In today’s post the focus is on a story that has not picked up much ground in the financial press, but one which raises massive issues. The story, reported by Sky News, describes how the former Chair of the Treasury Select Committee and someone who we have profiled before here in Financial Regulation Matters, Andrew Tyrie, is potentially considering establishing some sort of ‘board’, akin to the Banking Standards Board, to oversee the regulation and standards in the auditing industry. Whilst there is very little to the story so far, the inference that emanate from the story inspire the direction of this post, with the aim being to ask whether such an organisation would be required, and welcome, should it come to fruition. 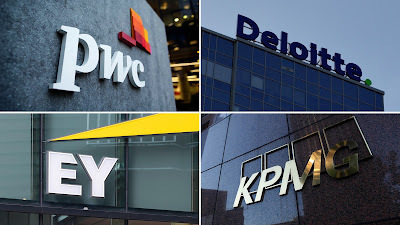 The news report simply states that Tyrie has been recently speaking to members of the Big Four auditing firms – PricewaterhouseCoopers (PwC), Deloitte, Ernst & Young (E&Y), and KPMG – and their regulator – the Financial Reporting Council (FRC) – about establishing an initiative in preparation for the increased levels of regulatory scrutiny that, according to the report, Tyrie believes is coming the way of the auditing industry. Although the report suggests that the FRC and the regulated entities are unlikely to support such an initiative, there is merit in asking whether the auditing firms a. need more supervision and regulation and b. would benefit from the type of regulation that Tyrie apparently envisions. To begin with, in terms of whether the firms need more regulation, an assessment of their behaviour during and after the Crisis suggests that the answer to that question should be an emphatic ‘yes’. For example, there are a number of stories which suggest that the accounting firms rather avoided the public derision in the wake of the Crisis whilst other gatekeepers, like the Credit Rating Agencies, were paraded front and centre (and quite rightly so). There are a number of reasons why this may have been, with one obvious reason being that the centrality of the rating agencies, just to continue to use that example, to the cause of the Crisis naturally so them at the forefront on post-crisis examinations; we saw how, at the turn of the millennium, the accounting firms were themselves put to the forefront after the collapse of Enron and WorldCom made the headlines. Yet, whilst the large banks settle for billions of dollars, and the Credit Rating Agencies settle for billions of dollars, little has been made (publically at least) of the conduct and subsequent penalties that have been given to the accounting firms. This time last year, the massive PwC settled with a civil case in Miami with the bankruptcy trust that was handling the affairs of the failed mortgage giant Taylor, Bean & Whitaker (TBW), a firm which had collapsed in 2009 after a series of scandals ranging from botched takeovers and FBI raids to the conviction of the Chairman for a total of 30 years. This particular case resulted in two noteworthy pieces of litigation, with one being successful and the other unsuccessful. Firstly, Freddie Mac had sued Deloitte for $1.3 billion, alleging that Deloitte, who had served as TBW’s independent auditor from 2002 to 2007 had ‘failed its duties’ in that particular capacity but, in January 2016 the two sides settled out of court for Freddie Mac to dismiss its claims. However, one of Deloitte’s competitors, PwC, were not so fortunate and in August 2016 the firm settled with the bankruptcy trustee in charge of TBW’s assets for an undisclosed fee; whilst the amount of the settlement is unknown, and though it is very likely to be lower than the $5.5 billion initially cited, the statement from the trustee’s lawyer that ‘it was settled to the mutual satisfaction of the parties’ suggests that the sum was sizable. There have been other notable punishments, of course, including the $456 million fine for KPMG in 2005 from criminal violations, and the particularly small and feeble punishments administered by the FRC, fines which range from a few hundred thousand pounds to the ‘record fine’ of £5 million for PwC’s audit of the non-collapsed housing firm Connaught. Ultimately, the insinuation from the news report regarding Tyrie’s meetings with the big four and their regulator is that Tyrie believes there needs to be an increase in the regulation that surrounds the auditing firms. The proposed ‘board’, which was suggested was an option considered by Tyrie, is based upon the idea of the ‘Banking Standards Board’ which, even though a novel attempt to regulate the banking industry, is receiving heaps of criticism for its lack of action. The fear here is that there is so little enthusiasm from the auditing industry, commencing such an organisation would, probably, be an impossible task. That lack of enthusiasm is symptomatic of an era in which the risks and threats to society that emanated from the Crisis are being actively downplayed, as there will be many who believe that the era of crisis has passed and that financial institutions needed to be unshackled in order to achieve their potential - whilst this may be defendable in other contexts, it is not justified in the context of the auditing industry. In reality, the relatively short distance from the Financial Crisis, and the fact we are still dealing with the consequences of economic collapse – austerity remains and the political spectrum is seriously distorted as a result – means that any ‘unshackling’ of auditors, or ‘gatekeepers’ in general, could be disastrous. In a perfect world, the regulation of the gatekeepers would be immune to the cyclical changes which affect society so pervasively, but in reality the regulation of the gatekeepers is included in the vision that business must be allowed to take risks to produce prosperity – the every move of big business should not be accounted for. This understanding is attempting to take hold but is being resisted at present, but every day there are more and more calls to reduce the regulatory burden on business, which is perhaps demonstrated in the assessment that the Big Four and the FRC would not be warm to the idea of increased supervision – what is important, however, is that their concerns are not considered and that regulation stays as resolute as possible in the face of the cyclically-induced pressures that are building.